The V-1504 vertical platform lift is a popular choice that's versatile enough for any setting, indoors or outdoors, home or commercial. The V-1504 lift is built to carry a wheelchair and passenger safely up and down one or more levels. Suitable for public and commercial buildings as well as private homes, this Savaria™ lift features an extremely versatile design that can be configured and customized to suit virtually any project requirements and aesthetic needs. 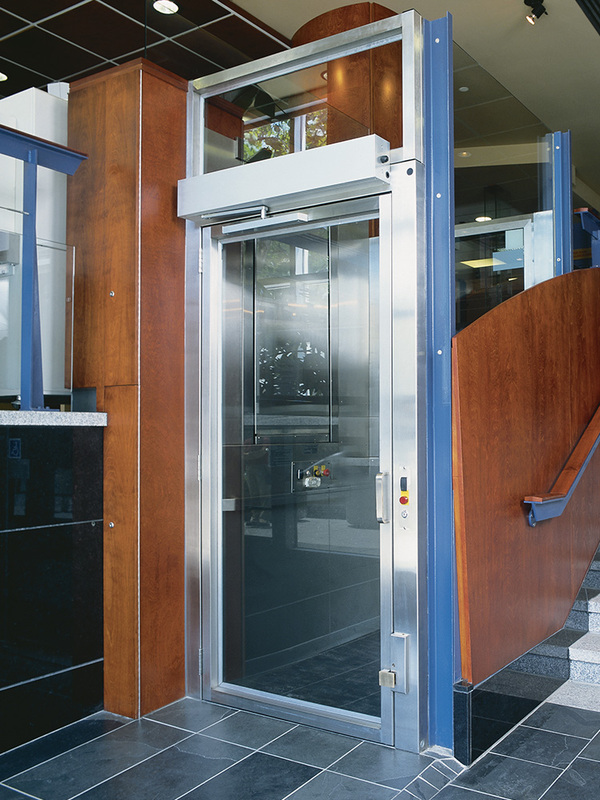 From the rugged outdoors to the most luxurious office tower lobbies, the Savaria V-1504 lift is ready to serve with its reliable performance, ease of use and range of finish options. Every Savaria V-1504 model is driven by a reliable hydraulic system and can be configured for your needs. The lift travels up and down a rail system enclosed in the lift tower. The tower is supported with attachment to an existing wall or through a constructed hoistway. Because the drive system is contained within the lift tower, no additional machine room is required for installation.